In the early-to-mid-1800’s, settlers came to the Hunter by ship due to the lack of roads. The first sailing packet to go between Sydney and Newcastle was the cutter ‘Eclipse’. This was pirated by convicts and replaced by the ‘Lord Liverpool’ which was a passenger ship that made the trip weekly. The ‘Lord Liverpool’ was well furnished, being previously a pleasure yacht in India. The trip between Sydney and Newcastle was usually made at night, and took about 12 hours. The boat was well stocked for this trip with food, wine and a cabin included in the price of passage. 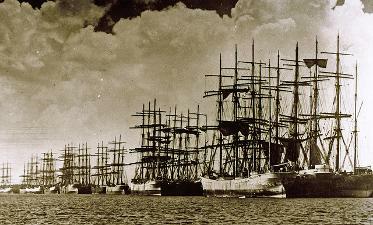 Other sailing ships made the trip at less regular intervals and were traders, bringing in supplies and taking out coal to supply Sydney. After arriving at Newcastle travelers could take another ship to Morpeth. After disembarking at Morpeth, a passenger could continue to Maitland by phaeton or gig, a trip that took about one hour. 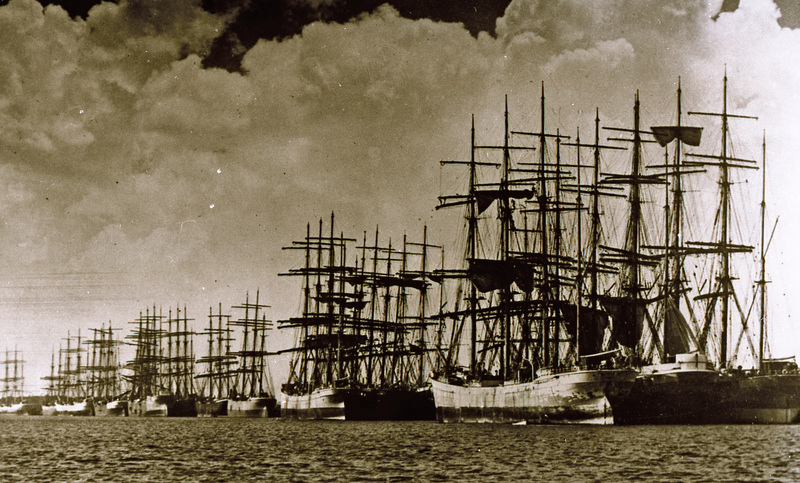 Tallships, Newcastle Harbour, c 1800s, from Norm Barney collection. On a sailing packet, the trip between Sydney and Newcastle took about 12 hours. Abbott, J.H.M. The Newcastle Packets and the Hunter Valley. Sydney, Currawong Publishing Co., 1943. Mitchell, Cecily Joan. Hunter’s River: A history of early families and the homes they built in the Lower Hunter Valley between 1830 and 1860. Sydney: National Library of Australia, 1984.